For some reason I rarely talk about skincare here despite it being something that I spend a lot of time researching and using. I wanted to slowly introduce you to my favourite skincare so I thought I would start with one of my most recent discoveries. 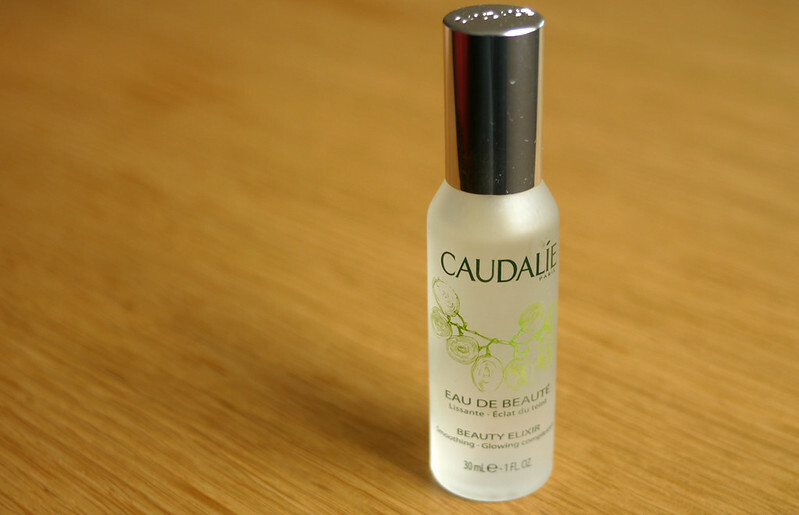 If you're an avid reader of beauty blogs you will most definitely have heard of French skincare brand Caudalie. I really like the ethos behind the brand and I love to see a brand that is committed to using natural ingredients. 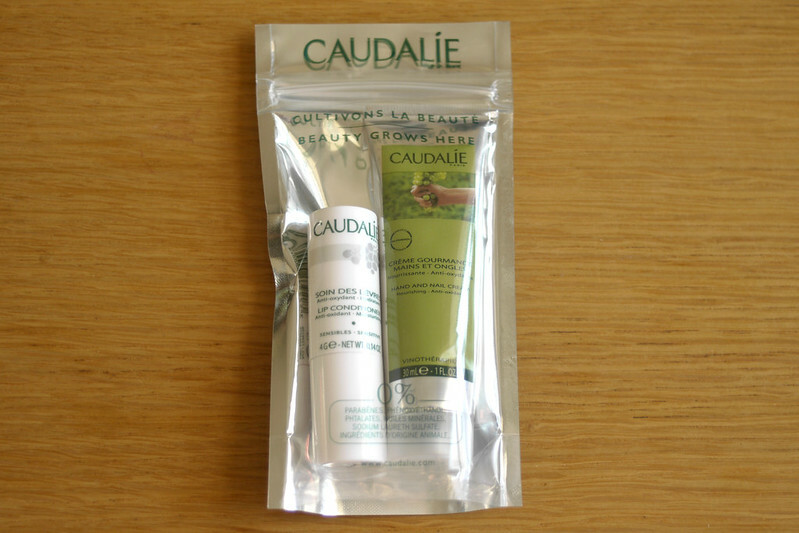 You can read about the vine and grape derived ingredients used by Caudalie on their website. It's a great read for anyone interested in skincare ingredients and what their purpose is in a product. I had been reading about their products for a while, the Beauty Elixir being one of the most popular, after being mentioned by Lisa Eldridge in one of her skincare films. They are finally being stocked in selected pharmacies around Ireland now and I was very excited when my mam told me they had started stocking Caudalie products in the local pharmacy in my home town. I picked up a few of the sets after Christmas to try out some more of the products. 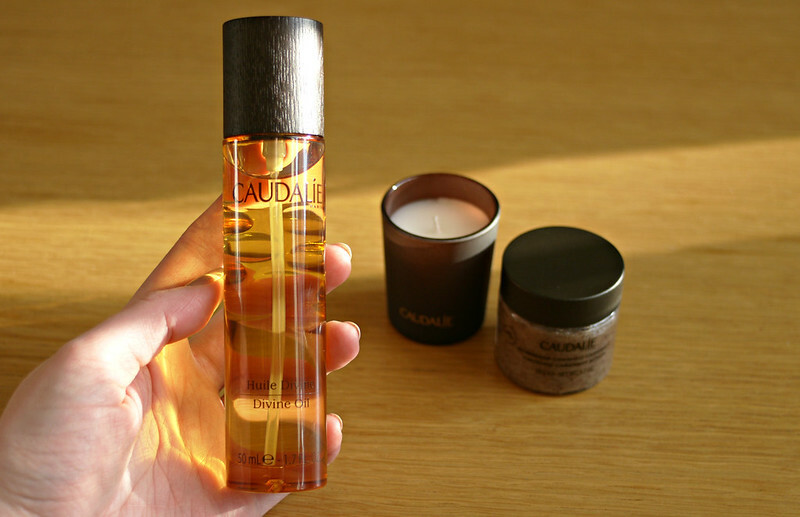 The Divine Oil is another of the best selling Caudalie products. At Christmas they released a gift set including a 50ml bottle of the oil with a 50g Crushed Cabernet Scrub and a mini candle. Divine Oil is a multi-purpose oil that can be used on body, face, hair, cuticles, in a bath etc. It comes beautifully packaged in a glass bottle with a spray nozzle which is one of my favourite features of the packaging. It contains argan, grape seed, hibiscus and sesame oil, shea butter extract, anti-oxidant grape Polyphenols, it's scented with two types of roses, vanilla, cedar, pink pepper and grapefruit. It has a rich natural scent and I can imagine it would be amazing to spritz some of this into a bath and just inhale the aroma (sadly I don't have a bath in my apartment so this is but a dream to me!). I've been using this quite sparingly because it is expensive. I've used it on my hair by spraying it into my hands and rubbing them together and then smoothing it through the lengths and ends of my hair where there is still some dryness from when it was coloured. I've used it as a body oil too but I have yet to use it on my face as I haven't needed to. I love body oils and have used the Palmer's Cocoa Butter Oil for years and years so it's nice to try something a bit different. I will definitely repurchase this but it is something I will save for when my hair and skin really need it because it's too expensive to use every day. The scrub smells unbelievable too as does the candle. The scrub contains six anti-cellulite and draining essential oils and leaves my skin soft and smooth but still really moisturised due to the oils. The scrub retails at €26.88 for 150g and the oil is €33.75 for 100mls. The Lip Conditioner and Hand and Nail Cream came in a little gift set too. It took me a few uses to really love these. I adore the lightly vanilla scented Lip Conditioner, it's so handy for keeping in my bag now that my NUXE stick lip balm has run out. It has 99.5% natural ingredients, it repairs damaged lips so it's great for when my lips are feeling dry and it's also anti-ageing so it's an all round winner for me. The hand and nail cream is perfect, apart from the scent which I am just not crazy about, it's a bit too sweet for me but nothing that would stop me from repurchasing it. This is again a nourishing and anti-aging hand cream with grapeseed, orange pulp, shea butter and grape oil. The lip conditioner is €6.88 for 4g and the hand cream is €15 for 75mls. The Beauty Elixir is a product people seem to either really love or really dislike. I am definitely one of the former, although it did take me a while to fall in love. This is the first Caudalie product I tried and after using it for the past year I honestly don't ever want to be without it. When I first tried it the scent caught me by surprise. It contains grape, orange blossom, rose, balm mint and rosemary and if you can imagine all of those scents together that is really what is smells like. It's very invigorating and calming and it is the perfect finish to my cleansing routine. It's also great to spray on during the day for a pick me up or to set or refresh make up. Caudalie say that it is a treatment that smooths away fine lines, tightens the pores and gives the complexion a boost of radiance and I completely agree. I try not to use this every single day because I don't want my skin to get used to it, but if my skin feels dull or I'm having a bad skin week I will use this to brighten it up. It comes in a gorgeous little glass bottle and is €14.38 for the 30ml and €40 for the 100ml. Feel Unique are doing 10% off all of these products at the moment and they can generally be found cheaper in pharmacies. I've also tried the Instant Foaming Cleanser and the Shower Gels which I have loved. If you're looking for some great quality skincare, I can't recommend this brand highly enough. I will definitely be trying out more products and repurchasing the ones I have. What skincare brands do you swear by? I want that beauty elixir it sounds divine! You should definitely give it a try, even the small bottle, or try it in a pharmacy. Stick with it, I swear by it now! 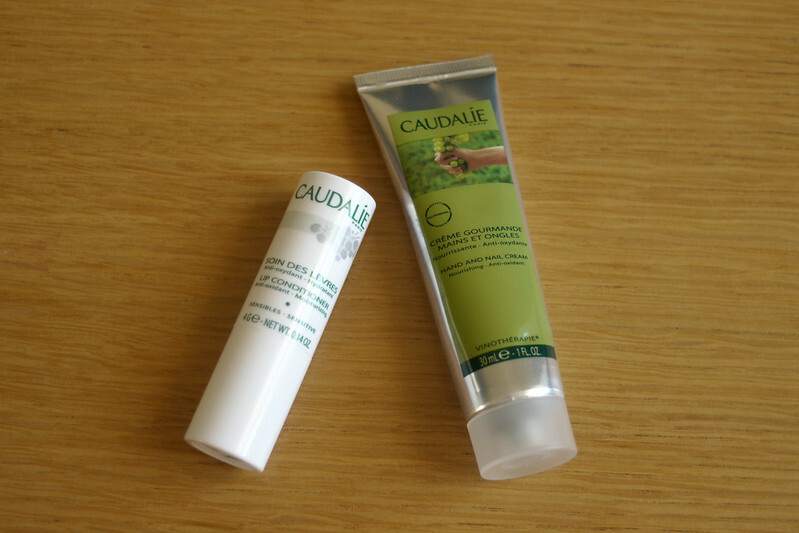 I've yet to try Caudalie but I swear by Liz Earle, NUXE, Clarins and La Roche Posay! Totally agree with you Emma, adore all of those brands, I know you would love Caudalie, they are right up your street! If you ever run out, hop over and check out my online French skincare boutique! I stock Caudalie and many other cult favorites, all at competitive pricing and worldwide shipping!